DVB password breaker utility is one of the recommended tools that have the potential to make the protected AutoCAD .dvb file unprotected. This is useful when users forgot or lost the password of DVB file. DVB password cracker tool permits users to remove the forgotten or lost password of .dvb files. Users just need to install the software in the system and add the files, which needs to be open. Once it is done, the software makes the protected file unprotected. Users can easily access that unprotected macro file by resetting its password. Once the old password is break, software will generate a new password automatically. After the unlocking of protected file, users can access the DVB files without any problem. They can even change the password later as per their desire. 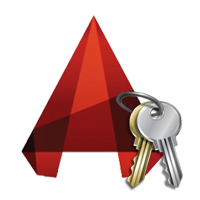 The tool allows resetting of old AutoCAD macro password, but users cannot get the old password back. This feature is one of the essential features of DVB password recovery software. According to this, the utility can set the password once again regardless of its length. There are no such limitations associated with the number of alphabets or characters that are used in the password. The tool has the potential to bypass the password of any length. As there are so many different versions that are available of AutoCAD, this is why the developers have kept the designing in such a way that the tool is compatible with all the available versions of AutoCAD. These different versions includes AutoCAD version 2015, 2014, 2013, 2012, 2011, 2010 and older versions. 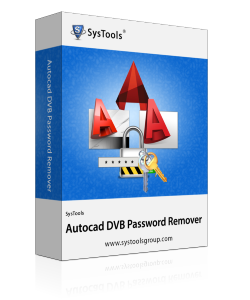 Apart from recovering the password of any length, AutoCAD DVB password remover software can even unlock the password of any type. This means that the password that contains any symbol, numerical value, special characters, etc. can be cracked with this tool. This utility supports the multilingual DVB passwords. Users can view the entire DVB password reset procedure in a report log section, which is available in the tool. This information is useful as displays so many essential things such as initial processing details, finding and resetting of AutoCAD VBA macro password, new password, which is auto-generated including final status. There is a trial version available of this tool. This free or trial version can be downloaded without paying any amount. With this, version users can reset the old password, but can only see first 2 characters of the password. This is the only restriction that comes with the trail version of the software. Users can buy the full version of the software and can recover the password of AutoCAD VBA macro file easily. This full version has no limitation as of free version. This will show you the full password, which is set the by the tool. Can I get the old password by using AutoCAD DVB password remover tool? No, It is not possible to get the old password back from this software. Can we change the password once the tool reset it? Yes, we can set the password, which is initially generated by the software. Does the software support Windows Operating system 8.1? Yes, AutoCAD DVB password unlocker supports all the versions of Windows Operating system including 2010. Last week, I have prepared something in AutoCAD macro file and put a password in it. The file I have created was crucial therefore; I could not leave it unprotected. After two days, I put that password again to edit the same, but I was unable to open that macro. I tried many times, but nothing worked. Then, I realized that I have lost the actual password. Therefore, I have started looking for some methods to bypass the password and I got a AutoCAD DVB password remover utility. I used it immediately and reset the password. Really, this tool helps me out in the most difficult situation. It happens sometimes that we forget the password of some important documents, same happened with me. Recently I forgot the password of AutoCAD VBA macro file. I thought that I could not access the file in future, but all of a sudden, I got to know about this solution and I have decided to use it. Believe me this software is really, very easy to access and can actually crack AutoCAD DVB file password. The software has created a password automatically, but I have changed it later. This is so amazing that we can remove the password of DVB files so easily. DVB password unlocker is really an essential tool, which is capable to break AutoCAD VBA macro password. We cannot get the old password with this tool, but the tool can make the protected file unprotected. I have used many software throughout my whole career, but this tool has something unique. All the options are available on one single panel in the software and any kind of user can access it for resetting the password of DVB files. Our teams had been working on a very important project. However, we have somehow lost the password our macro file. Now, one of my colleagues suggested the software, namely AutoCAD DVB password recovery tool. I have used the software and remove the password. I liked the utility very much. Even my colleagues praised the tool very much. One of the best things I liked about the software that it supports all the versions of Windows Operating system and AutoCAD versions too. Really, a big thanks to the developers team from the bottom of my heart.